One of my greatest clients, Tierney and Associates, does a lot of work with liquor companies. Not only do i get to design t-shirts for them, i also get to work on other promotional materials such as shelf talkers, signs, banners, and in this case: display bins to hold bottles in stores. 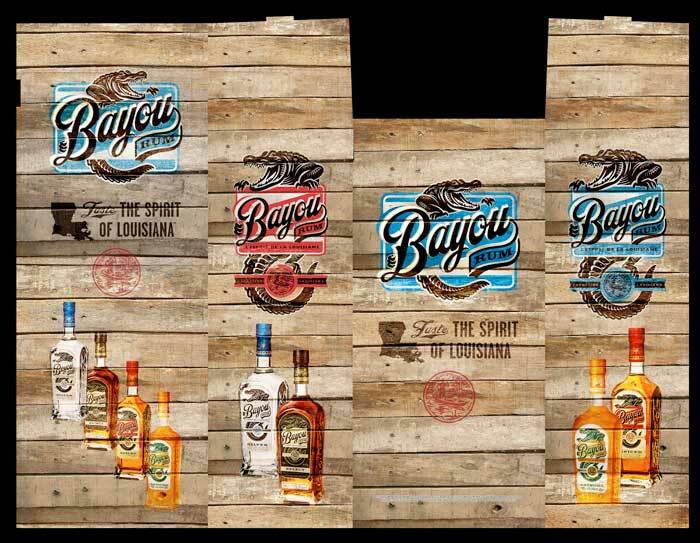 This was a fun project because Bayou Rum’s ‘look’ is backwoods Americana. I like the washed-out, distressed look of the graphic elements; and when the bin is constructed, it appears it is made from old wood slats. Fun! Rimshot’s Got a New Computer!